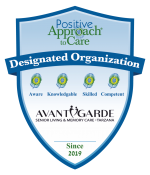 AvantGarde Senior Living and Memory Care is a luxurious senior living community in Calabasas, CA. We are committed to improving the lives of the elderly and ensuring they get the love and support they need. We truly care about the health and happiness of our residents and go above and beyond to enrich their lives. Our personalized care and makes sure that seniors maintain quality living standards. Our living spaces feature a variety of attractive rooms and floor plans. Each living space has been specifically designed for the evolving needs of our residents, which includes seniors with Alzheimer’s, independent seniors as well as those who require daily assistance. Our living spaces are clean, well-maintained, spacious and safe. Rest assured, our trained, qualified and caring staff is always there to assist with resident needs day or night, 7 days a week. We understand residents’ desire for building social connections. We have a variety of social events regularly so that our residents feel less lonely and enhance their social interaction skills. Our staff is specifically trained to provide residents with the highest quality senior services. If you need more information on our senior living, reach out to us anytime. Contact us today to schedule a tour of our facility or take a quick tour online.